The Yoga Holiday is an excellent way to go on vacation to relax and heal. It is designed to introduce you to a yogic lifestyle based on the ancient teachings of India to recharge your batteries and rejuvenate your body and mind to leave you feeling inspired, refreshed, centred and peaceful. A holiday is great, a yoga holiday is even better. A typical holiday usually gives little rest to our body, mind and senses, and we return home exhausted and needing a holiday from our holiday. The Yoga Holiday is a great way to go on vacation and really feel a difference. It is designed to give you an experience of the yogic lifestyle based on the ancient teachings of India to recharge your batteries and rejuvenate your body and mind to leave you feeling inspired, refreshed, centred and peaceful. Take part in different disciplines including proper exercise, right breathing, meditation practices and eating healthy vegetarian food as an invigorating way to improve your health and unwind in peaceful and idyllic surroundings in the Western Ghats of India - just 80 kms from Panaji, Goa -, one of the world's biodiversity hotspots. During your stay, discover new ways of thinking and increase your spiritual knowledge through daily talks. Perfect your own practices and clear doubts with individual guidance from our teachers. Our experienced Yoga Vana team members will guide you to delve deeper into understanding your practice and other holistic activities. The program provides introductory lessons for beginners as well as intermediate students. The Yoga Holidays is an excellent way to start to relax and heal. Yoga Holidays participants are required to follow the daily schedule, which includes plenty of time for socializing, learning, and relaxing. All guests attend morning and evening medtitations, the afternoon lecture and both yoga classes each day to make the most of your stay and to contribute to the community experience. Each day starts with meditation practice and ends with silent time and Kirtan, a practice that is at the core of yoga life. Here, we meditate silently, join together to joyfully chant and listen to an inspiring talk or reading on yoga. Yoga asana classes are held twice a day at 7.30 am and 3.30 pm. The classes are based on the classical yoga asanas, along with pranayama and sun salutations. The focus is on mastering the basic asanas from which variations are then added to further strengthen the practice. All levels of practitioners from beginners to advanced are welcome. Our meals, served twice a day at 10 am and 6 pm, are based on a healthy vegetarian diet, using as much as possible seasonal and locally-sourced food. Our daily 11.30 pm lecture takes you into the deeper practices of yoga, explaining the theory, philosophy and psychology behind them that will serve to enhance your practice and expand the mind. You can leave behind the stresses and strains of daily life to rediscover the joy of living in the idyllic setting of a traditional Indian yoga community. Come to experience the profound benefits that yoga brings to mind, body and spirit. 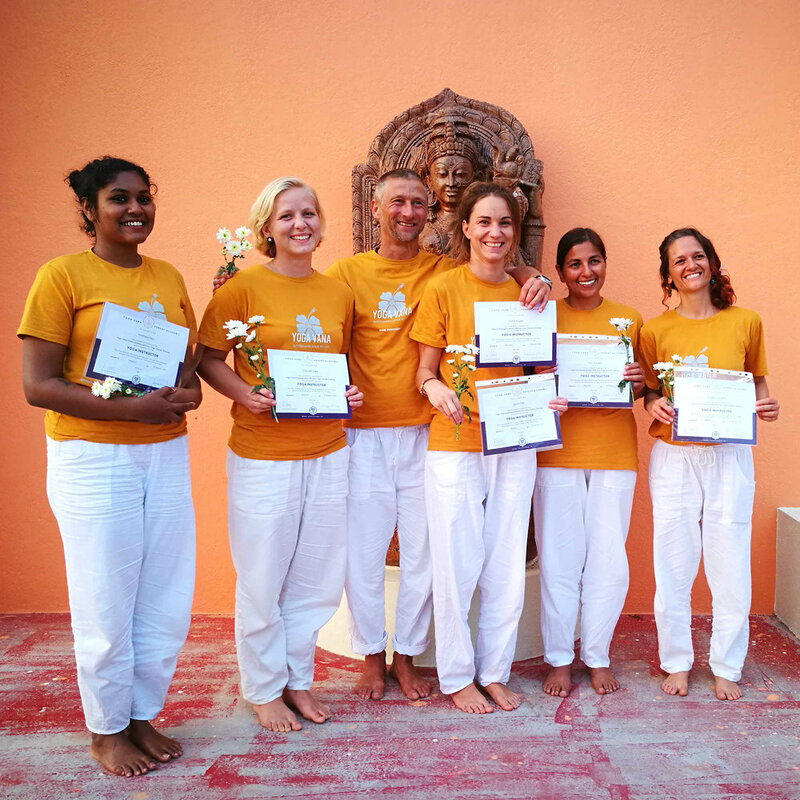 All Hatha Yoga classes and lectures will be conducted by Yoga Vana team members with extensive teaching experience in all aspects of the practice of Yoga. Mani Raman, lead teacher at Yoga Vana, will guide the morning and evening meditations and satsang. Learn more about him here. Attendance at all activities is mandatory. Changes in the program may occur from time to time as per the prevailing conditions. Day off: Please note that Fridays are off every week and there are no scheduled classes and lectures except for morning meditation. Participants are free to stay at the ashram and do their individual practice. Food is provided as per the regular daily schedule. Participation in organised day trips is optional. The Yoga Holiday lectures and classes are taught in English only. Our team members also speak Hindi, Tamil, Malayalam, Telugu, Bengali, German & Spanish. 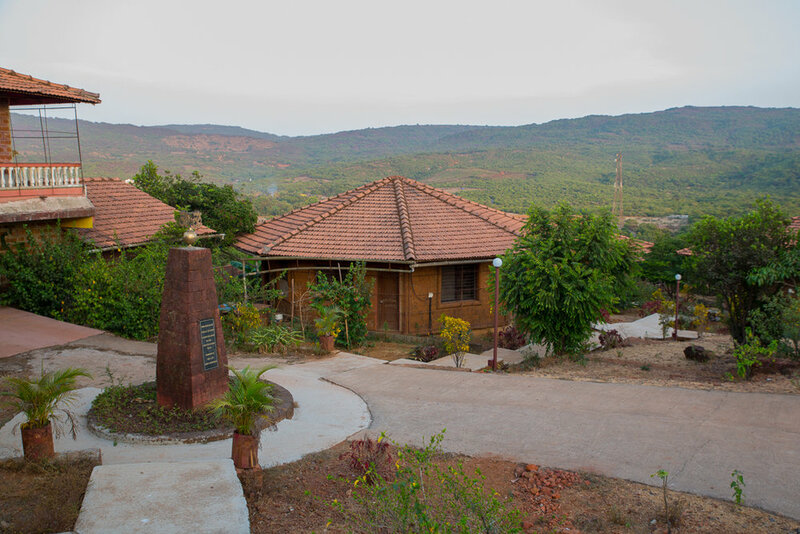 The Yoga Holiday takes place at the Holistic Centre for Yoga & Vedanta founded by Pujya Swami Dayananda Saraswati in Amboli, a hill station in southern Maharashtra just 110 km from Goa International Airport. 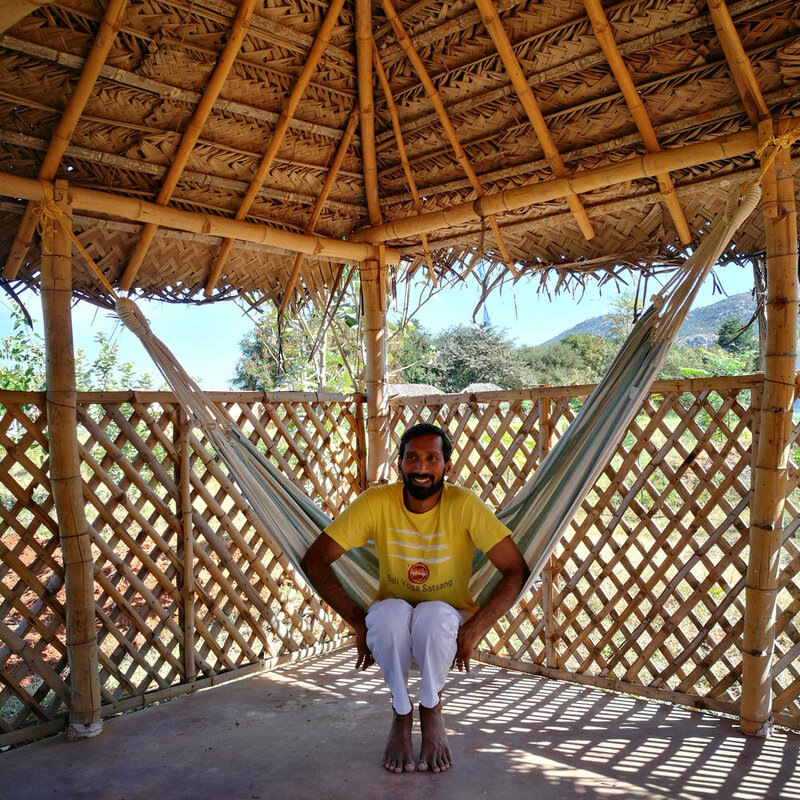 Perched on the hills of the Western Ghats, one of India's most diverse ecosystems, this secluded venue offers a peaceful natural environment that is very conducive for an in-depth study and practice of Yoga and meditation. The climate is sunny and dry with temperatures ranging from 16° to 32° C. Due to the hilly location, the mornings and evenings can be cool, with hot temperatures during the day. Please refer to our "What to bring" section below for recommendations on clothes and other items suitable for the season's climate. The rooms are situated in beautiful, simple cottages from natural stone and come with attached bathroom and hot water facility. Accommodation options include a 6-bed dormitory, twin sharing and single rooms. For rates, please refer to the course fee section below. Some accommodation types are limited and will be allotted on a first come-first serve basis. You can arrive any day after receiving the booking confirmation. The Yoga Holidays program is available between 15 January and 14 February, 2019. Please note that Fridays are off every week and there are no scheduled classes and lectures except for morning meditation. Participants are free to stay at the ashram and do their individual practice. Food is provided as per the regular daily schedule. Participation in organised day trips is optional. The nearest airport is Goa International Airport (110 km). You can fly into Goa directly from most major cities in India. Taxi transfers to and from the airport can be arranged on request (approx. EUR 45). The closest railway stations are "Sawantwadi Road" (30 km from Amboli ashram), "Kudal" (50 km), "Belgaum" (70 km) and "Madgaon / Goa" (115 km). Taxi transfers to and from the railway stations can be arranged on request. The ashram is located in a rural area with limited access to ATMs or convenience stores. Please remember to bring anything you may need during the four weeks of training, including four weeks' supply of toiletries, medication and cash for laundry services, transfers, optional excursions on days off and other needs. There is a bank at 500 m from the ashram where credit cards can be en-cashed. In order to maintain the purification effects of an intensive yoga practice, please be aware that the use of alcohol, drugs and cigarettes, as well as the consumption of non-vegetarian food is not permitted throughout the full duration of the course. Please refer to our Terms & Conditions for further details. Click the button below to fill the registration form. We will get back to you within 48 hours to let you know how you can secure your place on this training. For our refund and cancellation policy, please refer to our Terms & Conditions. You can contact us directly if you have any doubts or questions - we're happy to assist you. We look forward to welcoming you at Yoga Vana soon! Be a part of the international Yoga Vana community! Visit our gallery for more impressions from previous Yoga Vana courses.